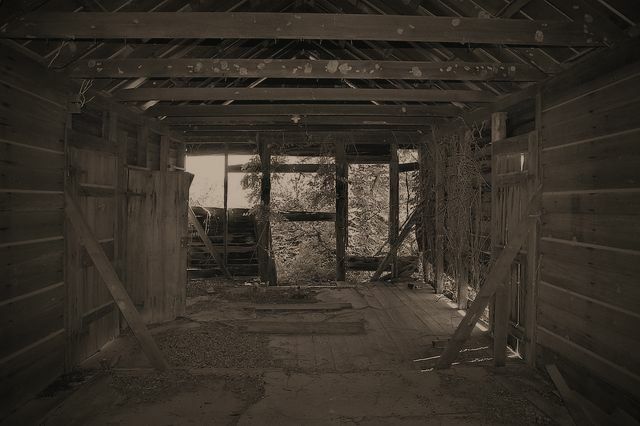 This is located in the Atlamaha community. 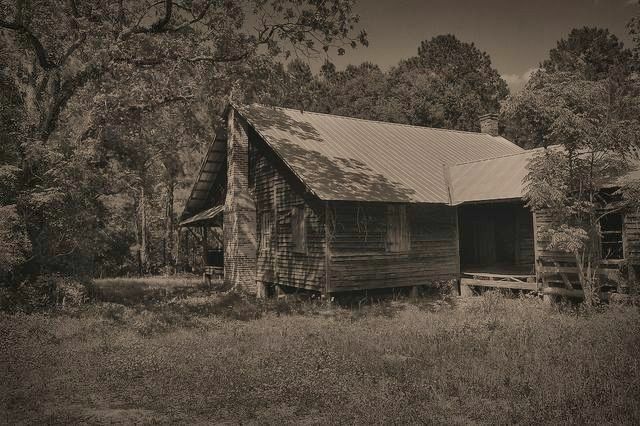 This was the birthplace and childhood home of the late centenarian, Leta Mac (McCall) Stripling. 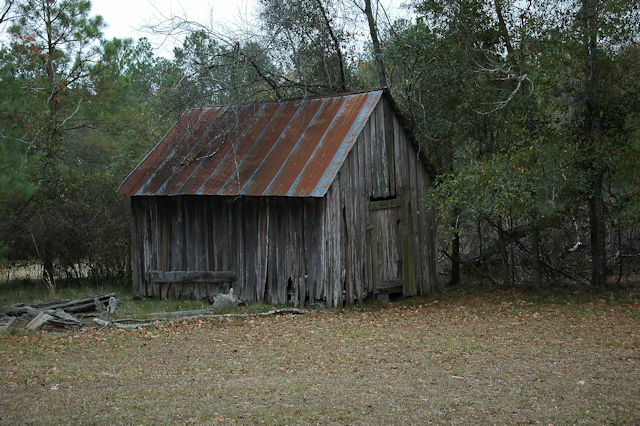 It’s located on her descendants’ farmland near the Altamaha community and is soon to be restored. 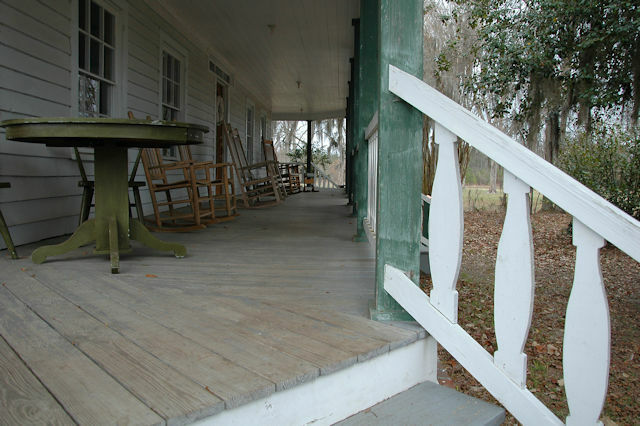 From the front porch a view down the partly open breezeway, or dogtrot, leads to the rear kitchen, seen below. An ancient fig tree grows wild beside the kitchen. 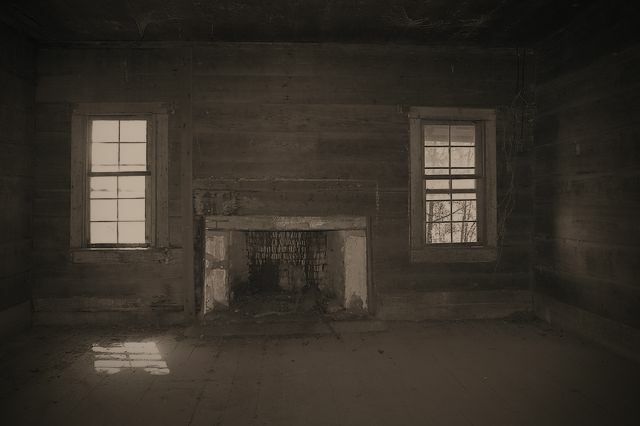 The bedrooms were quite spacious to accommodate large families. 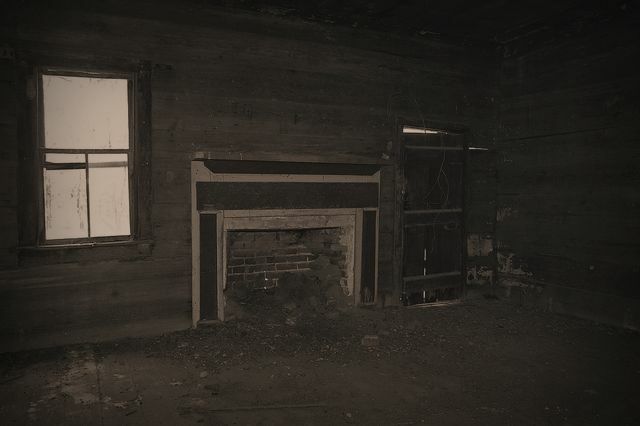 The original mantel remains in one, but is absent from another. 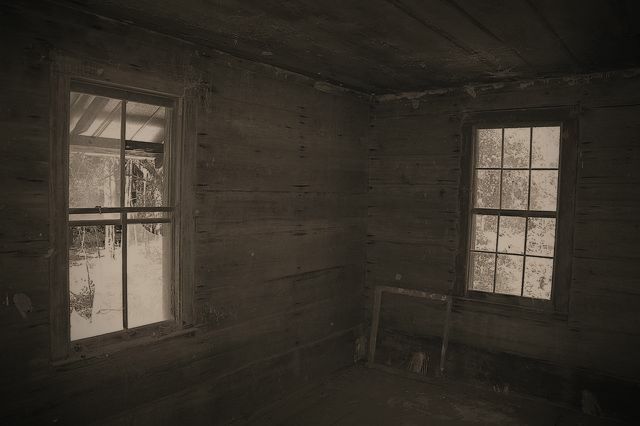 The small room seen below, at the front corner of the house, was probably used for storing vegetables or other essential items, though I’m unsure of its purpose. It’s much smaller than the two bedrooms. This is one of the most unmodified dogtrots I’ve seen and I’m grateful to the Stanleys for allowing me access. 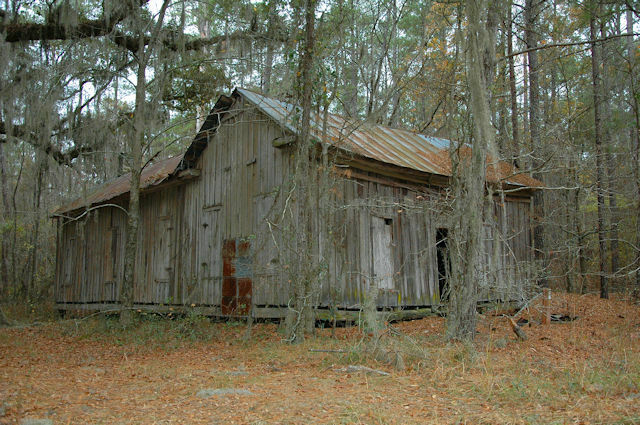 This is located in the forgotten community of Altamaha, Georgia. 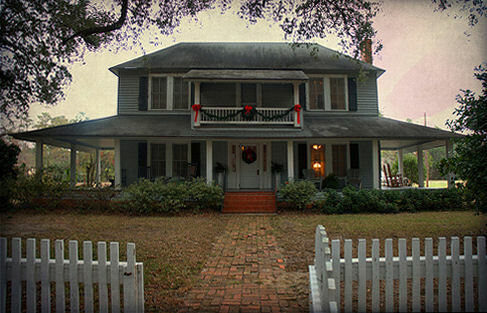 John P. Rabun, Jr., writes: …the Pearson House was built by John Pearson ca. 1847. John Pearson, a native of Screven County, was one of the two builders of the fine 1857 Greek Revival Courthouse in Reidsville, which was replaced by the 1902 structure still standing but much altered. John Pearson died in 1863. There is another Pearson house built by John’s brother, Lawrence Pearson, still standing not far from this house. One of the Pearson ladies of a later generation married David Tod, a native of Scotland, and the house became known as the Tod House or the Pearson-Tod House. 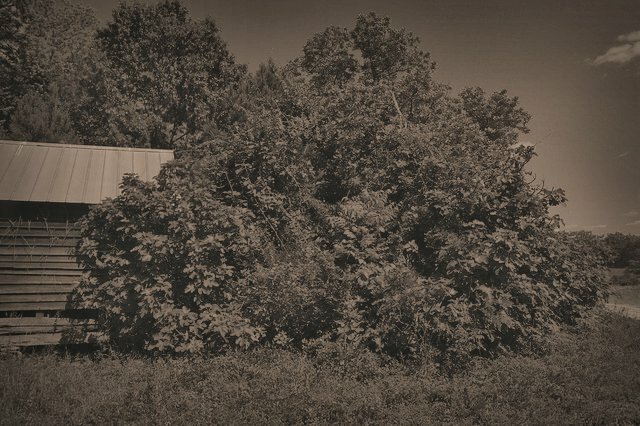 Unlike the Todd family living in Tattnall County when he arrived from Scotland, he spelled his name with only one “d”, saying – irreverently – that if one “d” was good enough for God it was good enough for Tod. 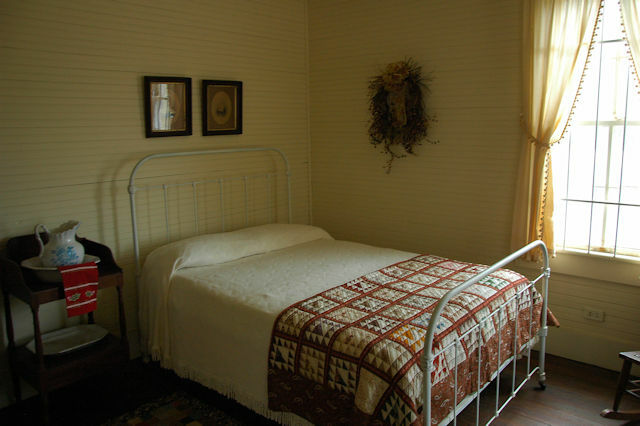 At the heart of Red Earth Farm is the beautifully restored circa-1850 Pearson Farmhouse. 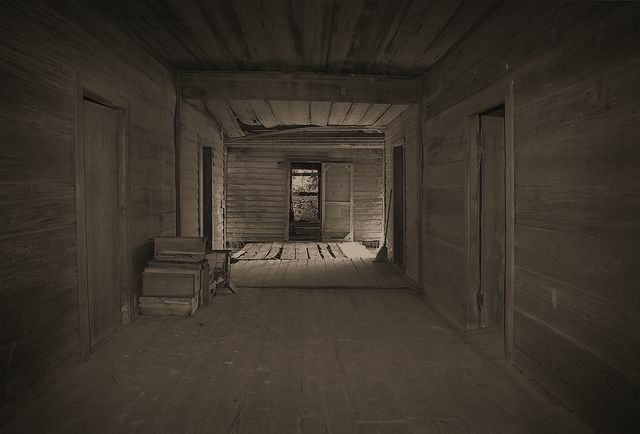 According to Kent Pearson: Laurence Pearson (1831-1911), a carpenter and joiner, did indeed build the house which was owned and occupied by four generations of the Pearson family. 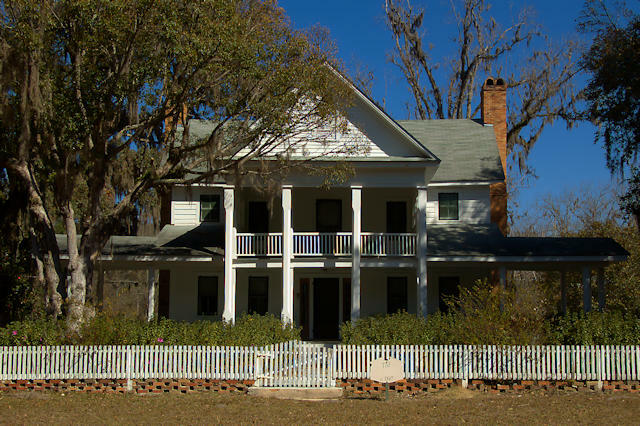 Laurence was the son of John Pearson (1777-1857) of Pennsylvania, who established the family in Tattnall County in the early 1800’s. 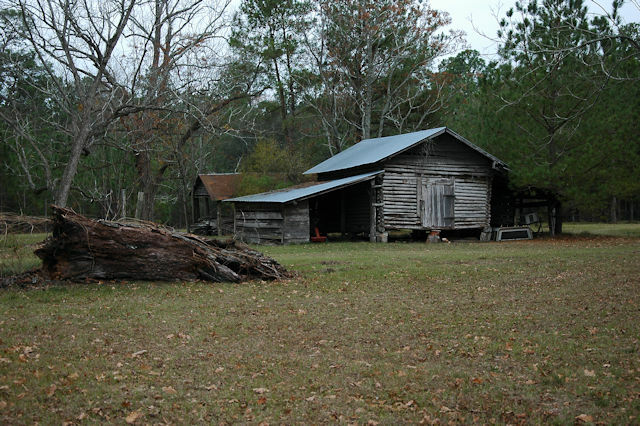 John built the first sawmill in the area on Slaughter Creek when he purchased a 1000 acre parcel of virgin timber land in 1832 for the princely sum of $1,200, where the family homestead and farm were located. 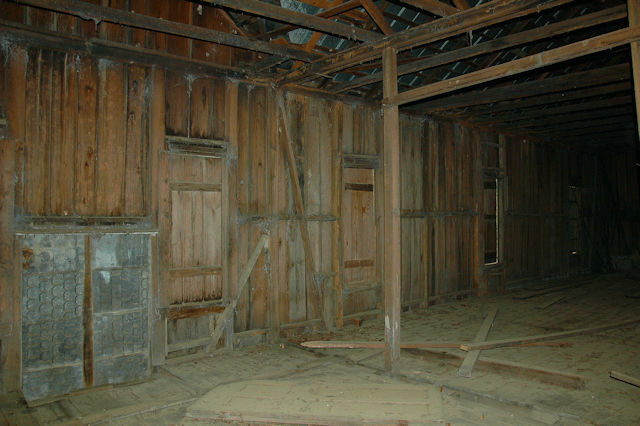 Laurence’s brother, John (Jr), was also a carpenter. Between them, they built a number of houses in the area. And according to John P. Rabun, Jr., John Pearson and George Merriman built a Greek Revival courthouse in Reidsville in 1857. Today the farm is home to Janisse Ray & Raven Waters. Janisse is a well-known environmental activist and author. My family came to know her when her first book was published and we’ve always supported her views on protecting and sustaining the fragile environment of our native South Georgia. (Ecology of a Cracker Childhood; Wild Card Quilt; Pinhook; Moody Swamp; Drifting into Darien; and The Seed Underground are among her works.) Raven oversees the operations of the farm and leads a variety of workshops on topics as diverse as home brewing and cheese-making. I recently attended one of his beer-making classes and it was great fun, Raven also sells produce and handmade sodas at the Mainstreet Statesboro Farmers Market. Oh, and he’s an accomplished potter and artist, as well. When I made these photographs, winter greens were growing. 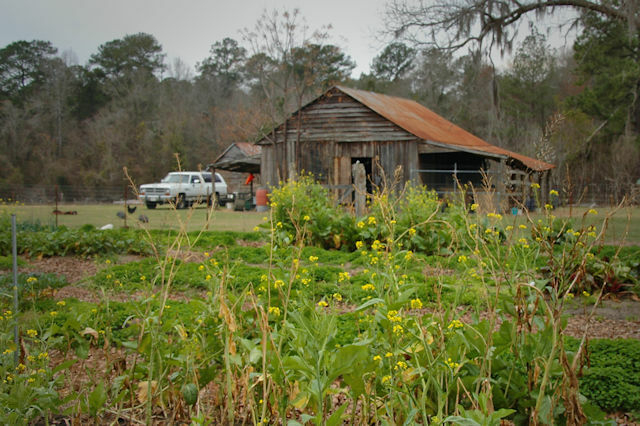 Red Earth Farm is an organic farm, so everything that doesn’t get eaten goes back into the earth. It’s an inspiring model of sustainable agriculture. 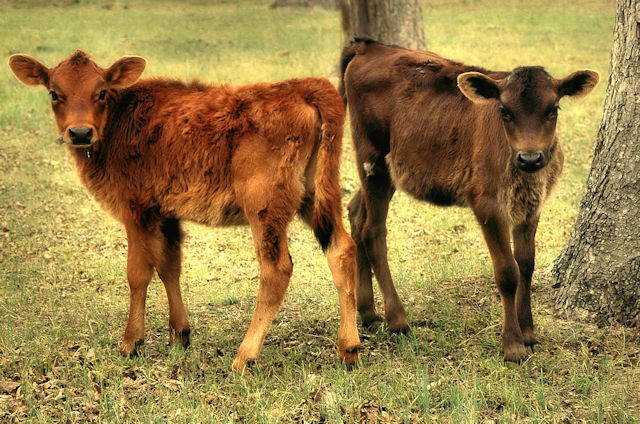 Jersey Calves Winona and Wendell were very interested in my camera. 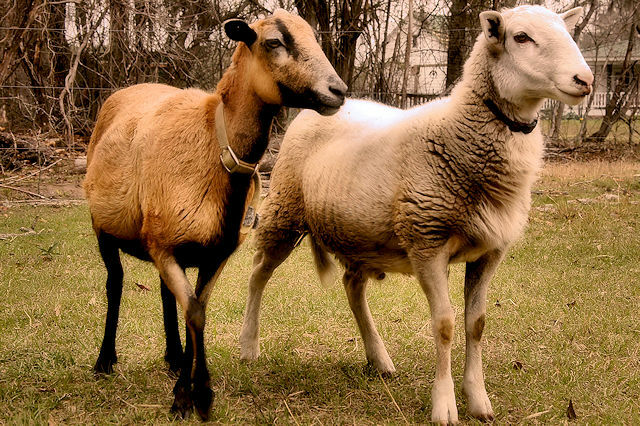 Most of the larger animals at Red Earth Farm are named for authors and activists. Barbados Blackbelly “Sojourner” and Katahdin “Mahatma”. Barbados Blackbellies and Katahdins are hair sheep varieties tolerant of heat; after many years of decline in numbers, both seem to be recovering. 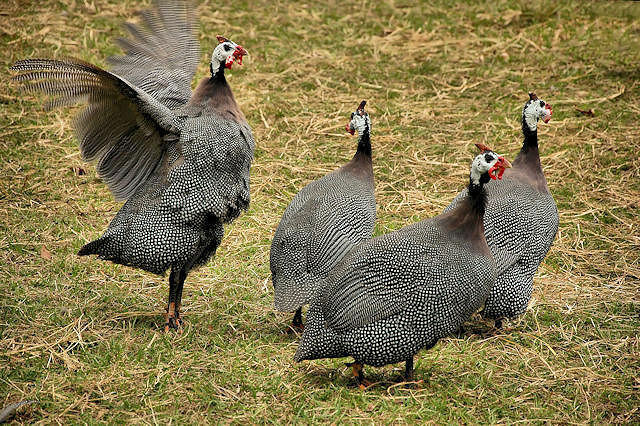 Guineas are an old-time favorite on South Georgia farms and are often considered the “watchdogs of the barnyard” for their habit of calling loudly at any disturbance. And they’re very attentive. There are many more things to share but for now I’ll end with my favorite resident of Red Earth Farm, this Royal Palm Turkey, known as Cochise. 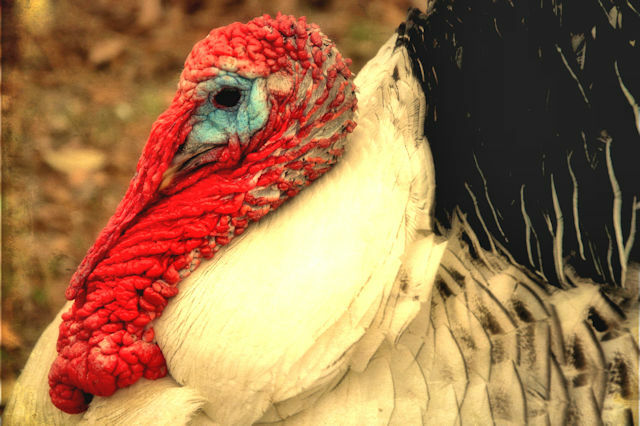 He’s more a friendly pet than a turkey. 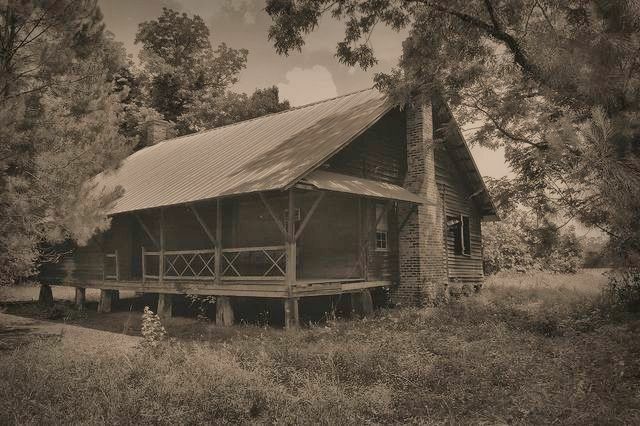 Built in the 1930s, this historic farmhouse was owned by the late Leta Mac Stripling, who recently passed away at the age of 100. 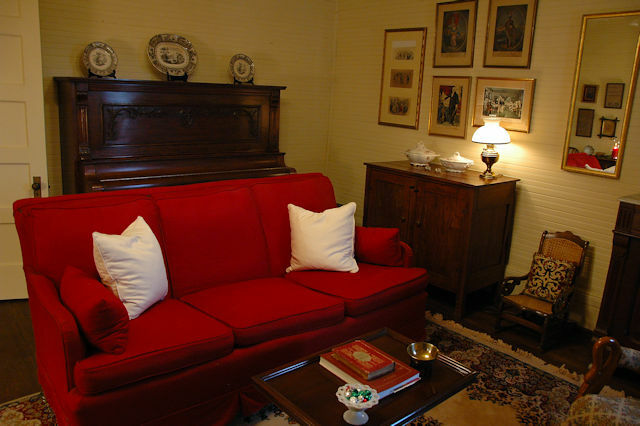 Her descendants are presently modernizing the house while keeping her antiques a focal point. Among my favorite items are the original Currier & Ives lithographs in the parlor, as well as lithographs by Nathaniel Currier before he went into partnership with James Merritt Ives. 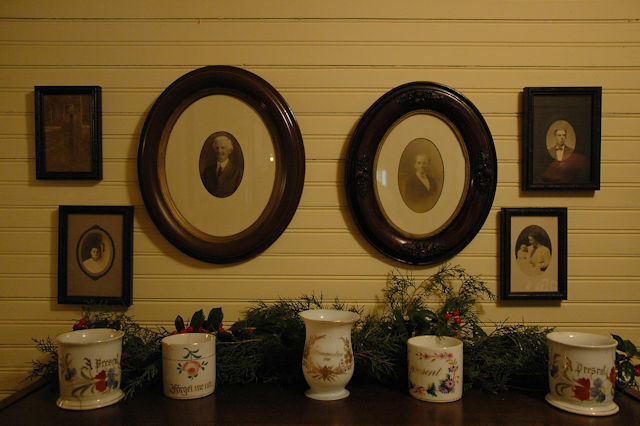 Family photographs look out over antique shaving mugs in the hallway. 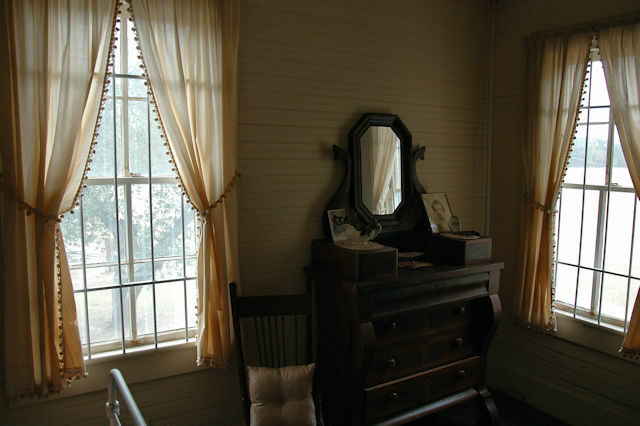 This upstairs bedroom is very typical of a country house of 80 years ago. 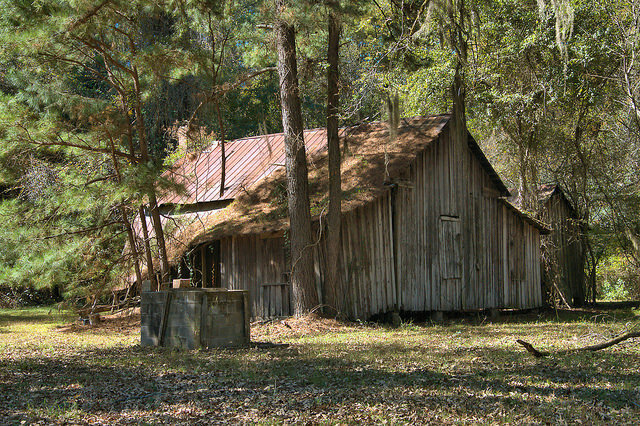 Several historic barns remain on the property. I’d like to thank Janisse Ray for the invitation, and William and Jane Stanley for being wonderful hosts. 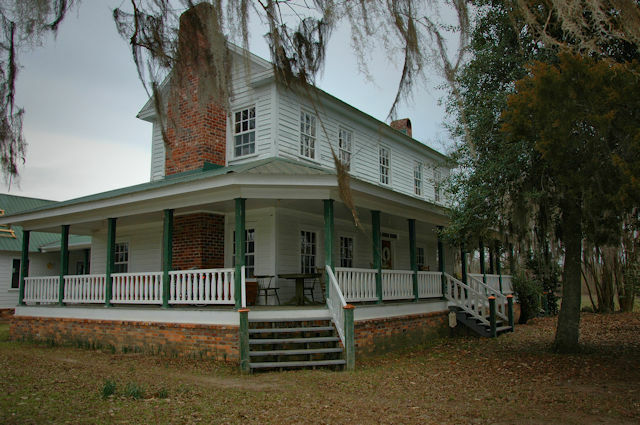 This board-and-batten farmhouse is located in the Altamaha community on Old River Road. 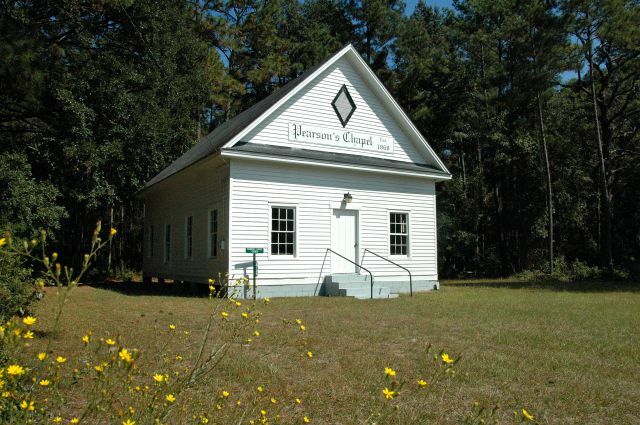 Pearson’s Chapel Methodist Church was organized by Reverend W. M. C. Conley in 1868 and the church is thought to have been built shortly thereafter. 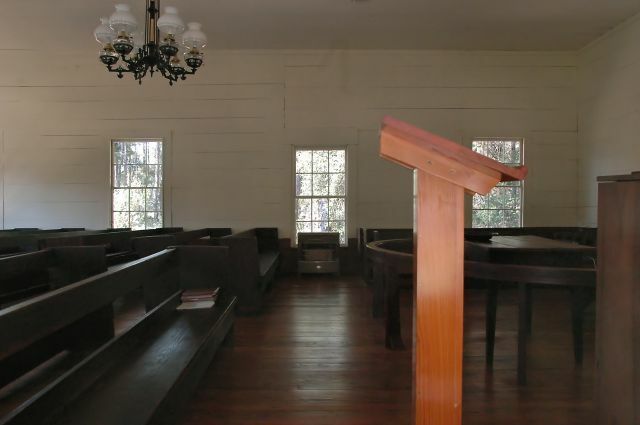 The congregation is small, but still active; meetings are held the first Sunday of each month and the public is welcome to attend.